In December, our community harnessed their creativity for good and joined the platform’s first ever charity program, #CreateForACause. U.S. users created over 2.5M videos in just five days, helping TikTok donate over $2 million to nonprofits, including Oceana. 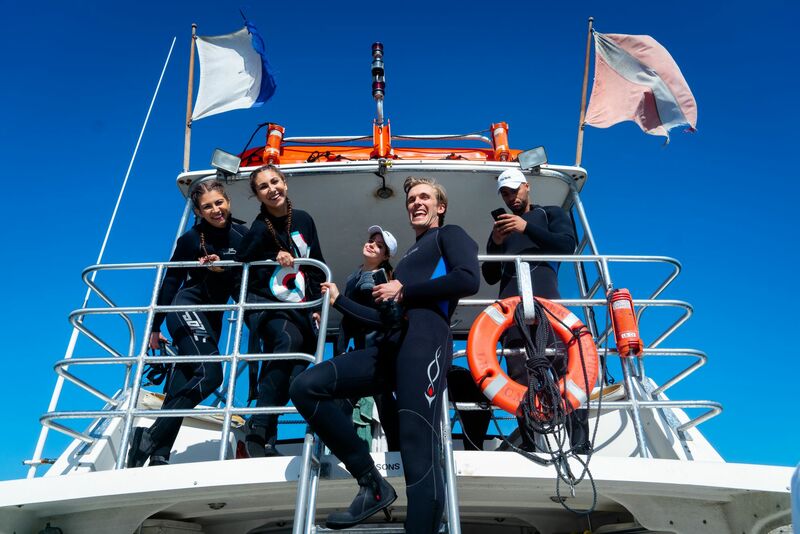 Oceana, which focuses on protecting the world’s oceans and its wildlife, recently took eight lucky TikTok Creators on an ocean excursion to Catalina Island to see first-hand how the community’s charitable donations will make an impact. Starting their adventure, the group boarded a boat headed for explored Bird Rock, just off Catalina Island, to explore a sea lion rookery which is home to sea lions (obviously), seagulls, and cormorants. This incredible experience allowed creators to interact with creatures in their natural habitat, and observe other wildlife on the crossing from Alamitos Bay, including a heron, a juvenile bald eagle hunting for fish, and several large pods of dolphins. TikTok creators swam, explored and gained exposure (many, for the first time) to marine wildlife and had a first hand vantage point of how the donations they helped raise with TikTok are being utilized to protect our oceans. We’re proud to partner with Oceana and support their work to reduce bycatch of marine wildlife, defend laws that protect marine mammals and advocate for protecting important marine habitats. There’s no better way to show the importance of Oceana’s work than by having our own community capture these moments. This excursion allowed TikTok users to get a closer look at the affected wildlife and explore their natural habitats while documenting the once in a lifetime ocean excursion. We love the passion and commitment our community has for doing good, and look forward to working closely with our creators and charity partners to bring more initiatives like these to life. Watch the content from TikTok creators! TikTok and iHeartMedia are announcing seven iHeartRadio Music awards in seven days, broadcasted exclusively on TikTok.